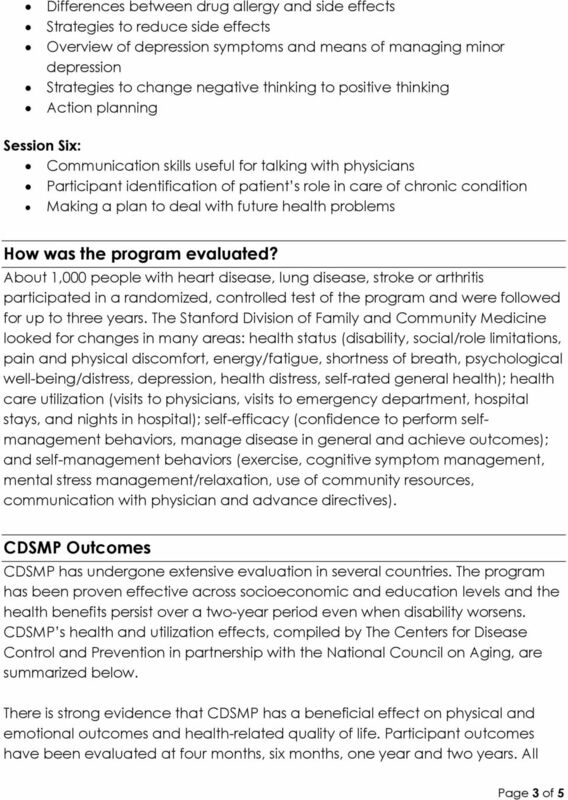 Download "Stanford University s Chronic Disease Self-Management Program Curriculum and Evidence"
Chronic Disease Kate Lorig, RN, DrPH Stanford Department of Medicine Stanford Patient Education Research Center Palo Alto, California http://patienteducation.stanford.edu Overview What is self-management? 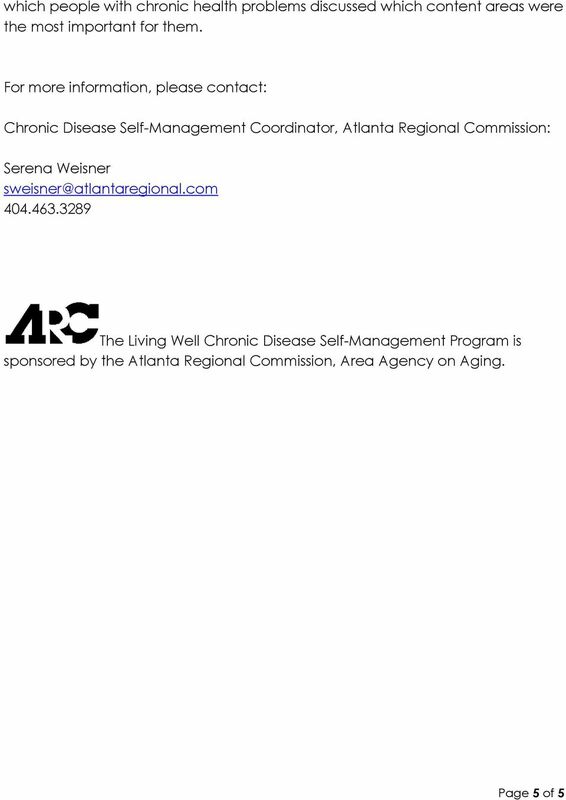 Viewpoint Patient Self-Management: A Key to Effectiveness and Efficiency in Care of Chronic Disease Halsted Holman, MD a Kate Lorig, RN, DrPH a The present health care system is neither effective nor efficient. 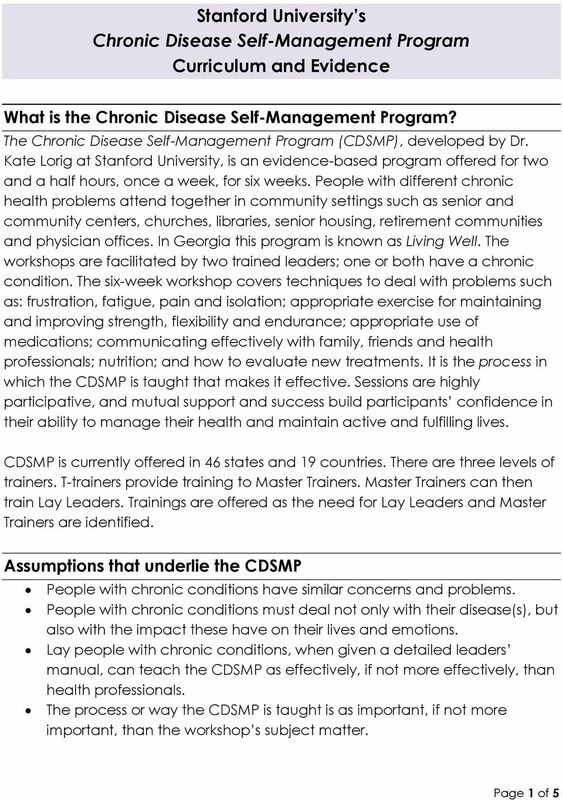 The ASMP/CDSMP Meta-Analysis Project Team thanks the group of subject matter experts that provided feedback on the project development. Thank you for joining today, please wait while others sign in. 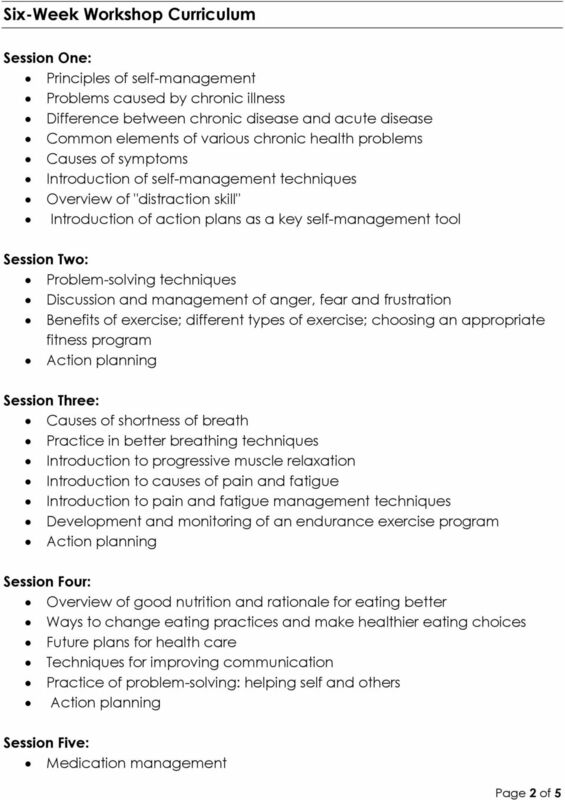 PFF DISEASE EDUCATION WEBINAR SERIES. Welcome! 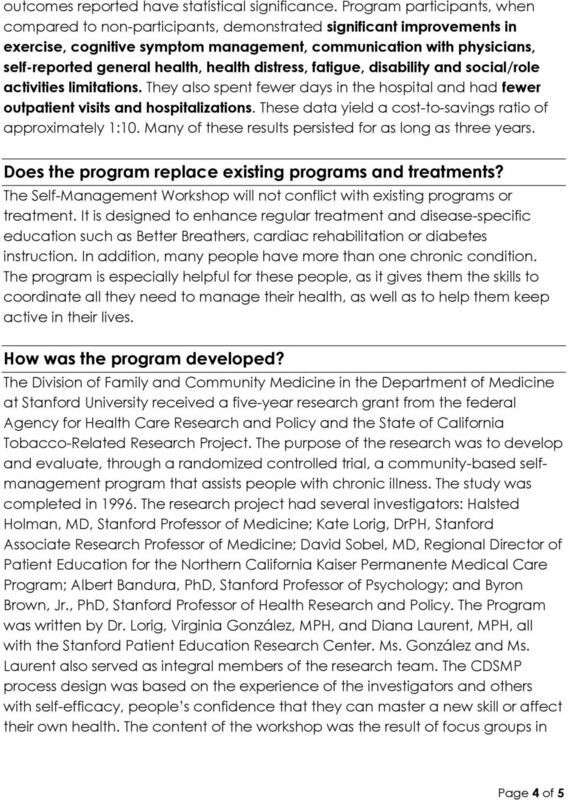 The Use of Psychographic Data for Chronic Condition Self Management: Claims based study reveals health outcomes and economic returns Ninth Annual Population Health & DM Colloquium March 2 nd, 2010 Dr.
Self-Care for Those Who Care for Others Caring for a loved one? You need care too. The Powerful Tools for Caregivers program can help.